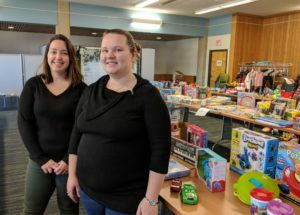 PSG Member and MWCC Student Nicole Wetherby and PSG Club President and MWCC Student Stefani Barton stand in front of tables of donations gathered in the North Café at Mount Wachusett Community College. The fourth annual Holiday Toy Drive and Fair organized by the Parent Support Group and Child Care Access Means Parents In School at Mount Wachusett Community College distributed presents to 61 families last week, bringing smiles to over 130 children. Donations for the toy drive were collected during December from faculty, staff, and students at MWCC. 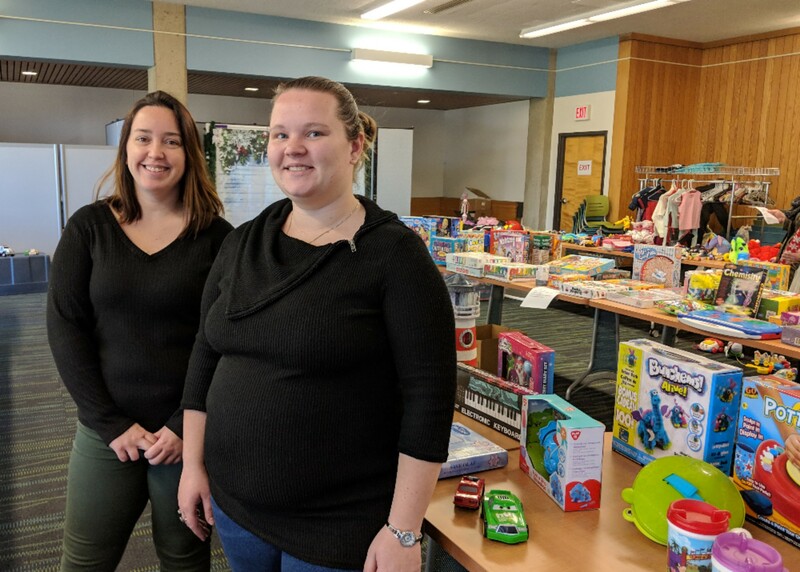 The gently used or new toys, books, games, and holiday decorations were then distributed on Dec. 11 and 12 to families at MWCC and in surrounding communities. These donations can be a huge help during the holidays, especially to student-parents. This was the third year the drive was opened up to parents in the community, said Reynolds. The Parent Support Group (PSG) is a student-parent club on campus that strives to make a difference in all students lives, she said. The PSG hosts three main events on campus every year: The Annual Coat Drive, the Toy Drive and Fair, and the Dress for Success event in the spring. 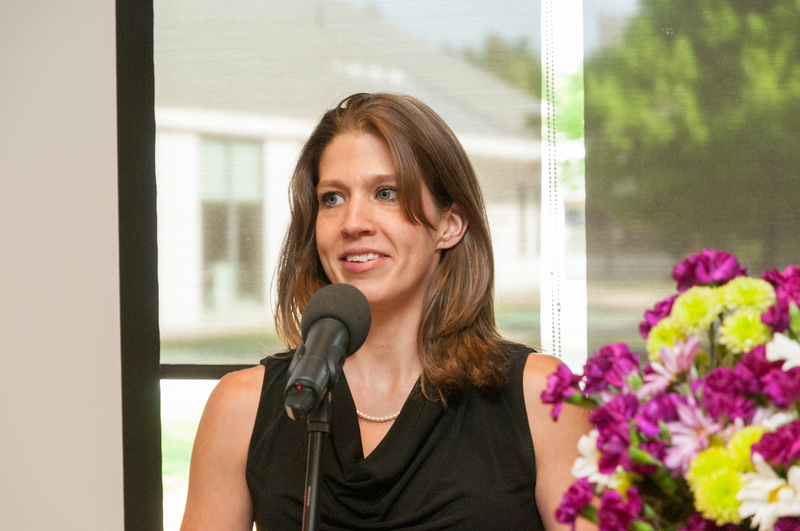 And although Reynolds stressed the hard work of the student-parents who put hard work in to make all these events possible, she also applauded the greater campus community that supports these efforts. 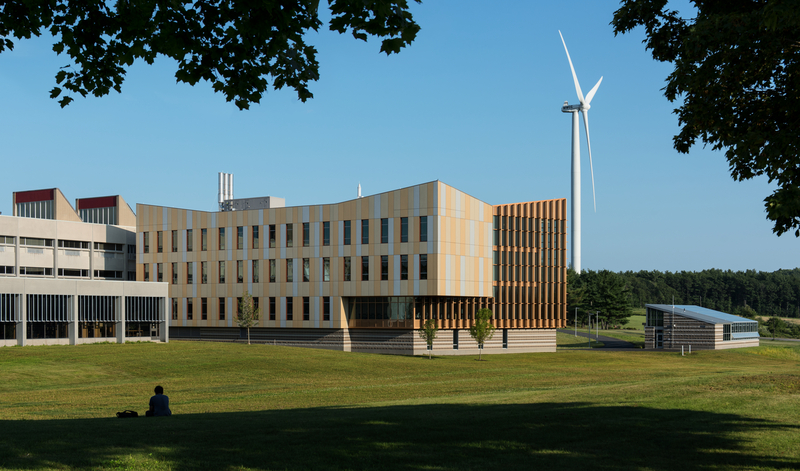 “PSG and CCAMPIS may put this event together, but it is because of the amazing generosity of our faculty, staff and students that make it all possible,” said Reynolds.